Toys have been around forever. But no childhood or geeky household has been complete without video games for decades, and now apps are ubiquitous parts of helping us entertain and educate our kids. 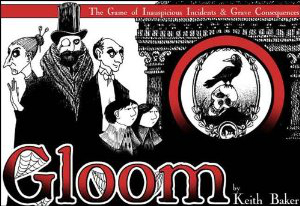 Check out the GeekMom recommendations for these items this holiday season, and there are a few tabletop gaming stragglers tossed in for good measure! This game will become quickly addictive to any strategy or deck-building tabletop gaming fans. 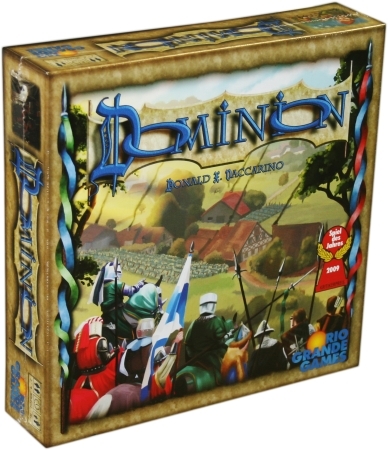 Now a bit of a classic, Dominion has several sequels and expansion packs to keep happy even those that have played it for a while. Build your deck as the game goes on, but win only if you have the most victory points. The cards that help you during the game aren’t always the ones that help you win, so strategy is key. As seen on Wil Wheaton’s TableTop , plan the demise of your own family while bringing luck and good cheer to your fellow players’ families. Bring tragedy home and kill off the characters on your cards to win this gruesome and hilariously dark game. Geek Battle as seen on sogeekchic.com. 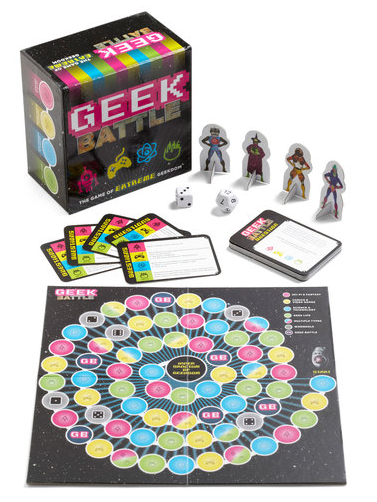 Trivia games are always winners, but if you’re looking for one more slanted toward geek culture, check out Geek Battle . The diminutive board allows you to play this game on any tiny surface, and you can try to best your geeky friends with skills such as knowing more elements on the periodic table that have a one letter symbol. You might need to institute a few house rules, but this game is a lot of fun. Read the review here. 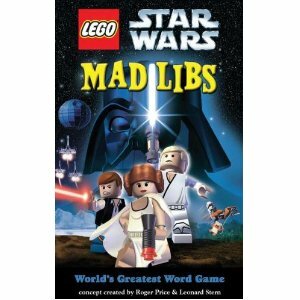 Mad Libs , the old classic that many of us had 30 or more years ago, is still going with newer versions such as Star Wars Mad Libs and Lego Star Wars Mad Libs . The older versions still pack a punch, but the new ones keep it all timely. These are great activities for holiday break, trips to visit family, or to pack in a backpack for kids to do at lunch. Mad Libs also helps build vocabulary and teaches basic grammar. Halo is back and better than ever! I’ve been playing the various Halo online multiplayer modes for years, and I really enjoy Halo 4 ‘s new multiplayer features. I found the menu design to be more manageable, while the new game loadout allows the user to pick a specialization (two weapons, an armor ability, and a grenade type). The specializations were introduced in Halo: Reach , but I’m loving the new specializations introduced in Halo 4 — like the decoy hologram! New to the long line-up of Nintendo handheld gaming consoles is the 3DS XL. It’s the DS we all know and love, with added 3D capability and two extra-large screens. The 3D can be turned off for the young ones. If you already own a 3DS then there may not be a need to trade up, but it would be a nice upgrade for the old DS users. As always, if you’re looking for a solid lineup of kid-friendly games, Nintendo is the way to go. 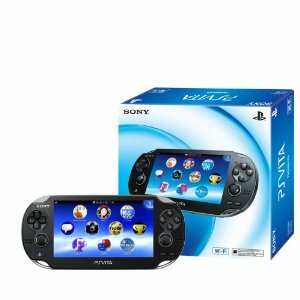 But if you’re looking for graphics and performance, look at the PS Vita. plus some cool new features like a multi-touch OLED front screen, a multi-touch rear pad, and front and rear cameras. 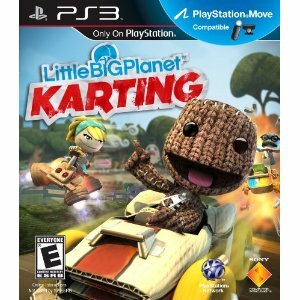 traditional Super Mario Kart games, but with a fresh LittleBigPlanet twist. In true LittleBigPlanet fashion, you can customize your Sackboy driver and kart, or create your very own track! 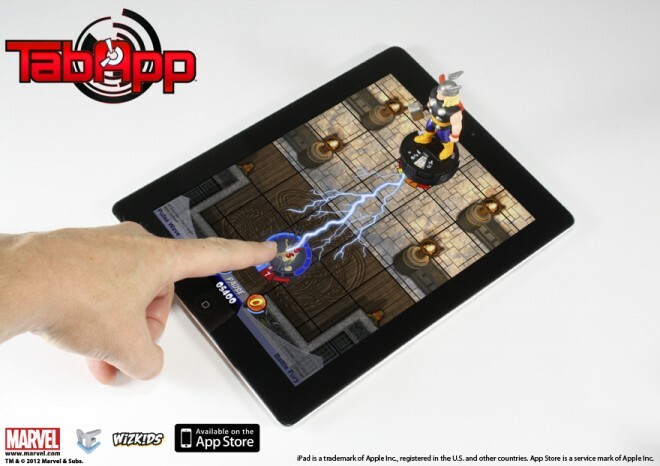 The new HeroClix TabApp game combines traditional HeroClix tabletop game figures with the HeroClix TabApp that brings them to life on iPad 2 and up. Download the app for free from the app store and then purchase the special HeroClix TabApp figures to create this interactive, solo-play game. You can get an X-Men pack with Cylcops, Wolverine, and Iceman, or an Avengers pack with Captain America, Thor, and Iron Man. Each of these figures has contact points at the bottom that tell the app which character you’re playing and start an adventure that kids will love! One of the most amazing stories to come out of the Maker resurgence is the success of entrepreneur Ayah Bdeir and her electronics building toys for kids, littleBits. 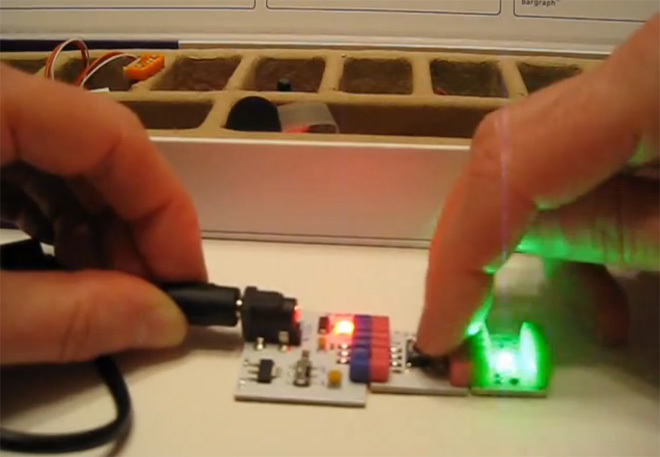 A winner of the first annual GeekMom STEMmy awards, littleBits consists of magnetic snap-together parts that let you instantly create a working electronic circuit. With an ever-growing selection of sensors, switches, lights, motors, buzzers, and other output devices — available individually ($5-$20) or in kits ($89-$149) — your family can have hours of fun devising ways to use littleBits to build anything from a robot to an entire city. 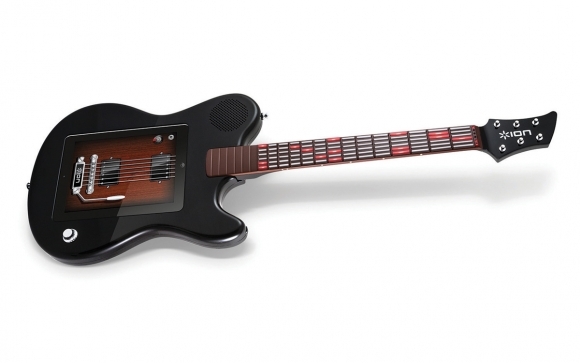 The All-Star Guitar is a full-sized electronic guitar that transforms your iPad, iPhone, or iPod into a guitar instrument. With the free included app, you can follow along with the lighted LEDs on the neck and play a wide variety of songs. 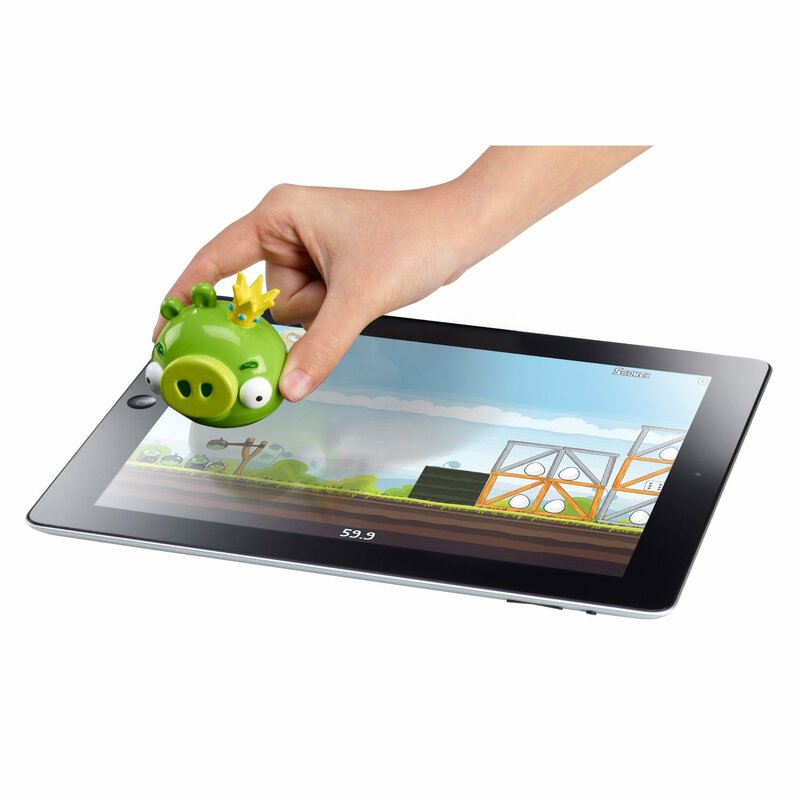 The app includes the ability to change it up and play classic, heavy, or distorted tunes. A neat feature of this device is the ability to play other popular apps including GarageBand. The All-Star Guitar is compatible with the iPad, iPad 2, iPad (3rd generation), iPhone 4, iPhone 4S, and iPod touch (4th generation). 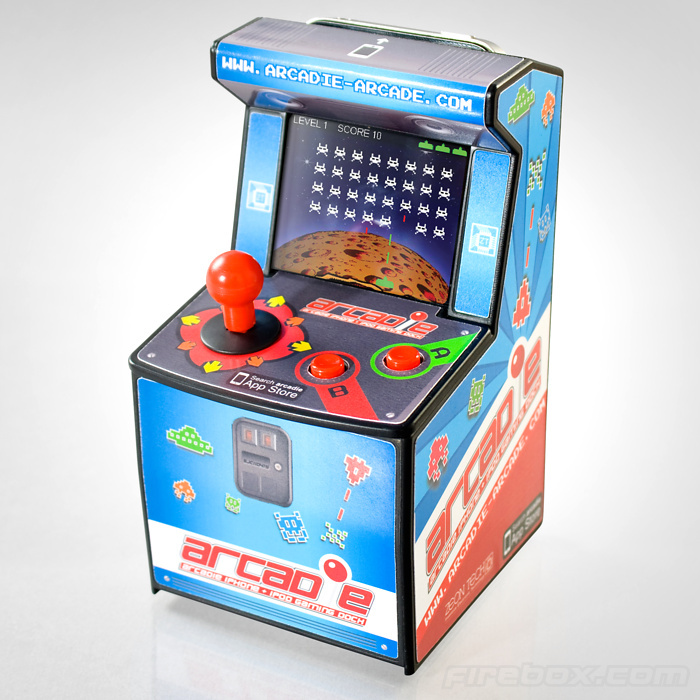 Arcadie is 8-bit excellence for the ultimate iPhone / iPod arcade gamer. There’s no complicated set up to get your device to work with Arcadie and play one of the six free games available in the app store. This is the perfect desk accessory for any geek that needs to take a break and enjoy the wonderful world of old school 2D video games. This accessory is compatible with the iPhone 3GS, iPhone 4, iPhone 4S, and iPod Touch generation 3 and 4. Lights…Camera…Draw! That’s the theme of this wonderful toy by Crayola. 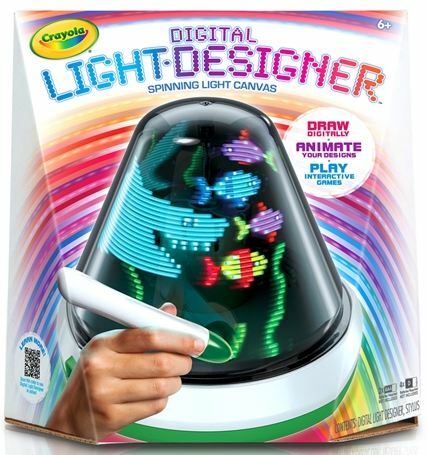 The digital light designer allows anyone to create wonderful works of light-up art. The round surface is a perfect canvas to create stationary or animated designs. Create and save your favorite works of art or personal messages, to save and display again and again. In addition to creating your own designs, there’s an activity and game mode to keep your child plenty busy. Furby has been updated for the tech-savvy generation. 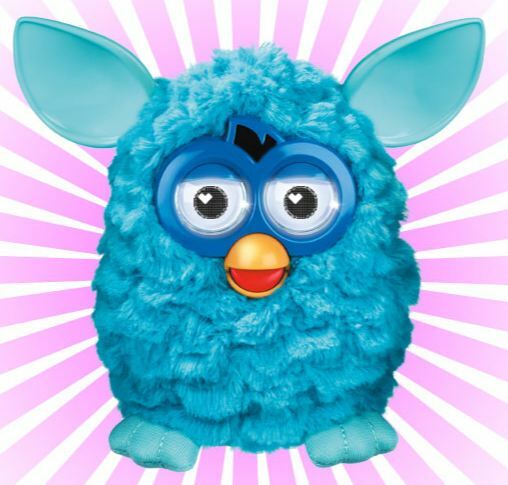 Now with the help of your smartphone you can feed, play, interact with, and help Furby develop one of five unique personalities. 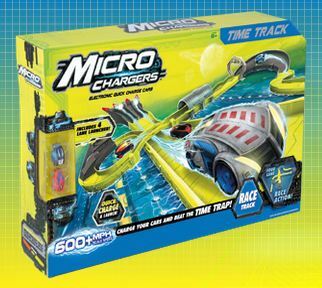 Micro Chargers are electronic quick charged race cars that zoom around on a Zhu-zhu-pet-like track. My son was entertained for at least an hour watching the cars race each other and zoom around the track at speeds of around 600mph. You can mix and match the various tracks for endless fun of building and testing the cars’ ability to zoom around. The cars themselves charge with a small handheld charging device or a charger that is built into some of the tracks. They make enough noise to let you know they are charging and once you set them free on the track, there is little (if any) sound. The cars themselves could fit on a quarter, so they pose a choking hazard for small children. 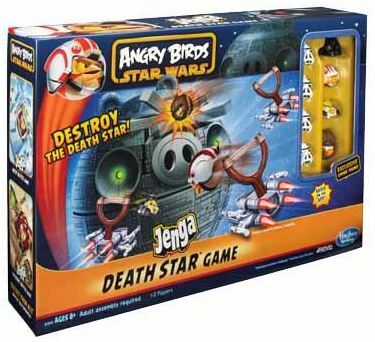 Star Wars Angry Birds is the latest edition to the much loved Angry Birds line. This time, the birds have joined up with the rebellion in an effort to fight off the evil pig empire. Play sets range from small (Jedi Slingshot) to large (Death Star Jenga) and are a blast for the whole family. No geek Christmas would be complete without some T-U-R-T-L-E Power! 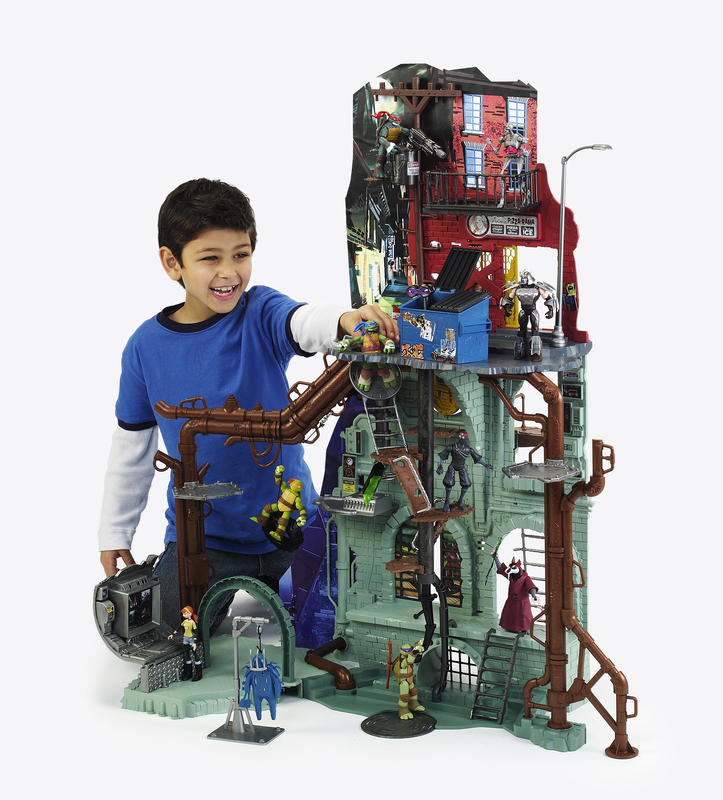 The Turtles Sewer Lair is a step up from what I played with as a kid with over three levels of fun and over 20 special features including a zip line, floors that can fall out, and a shredder-like punching bag for the Turtles to practice their ninja skills on. Don’t forget to pick up some turtle action figures to go along with it! 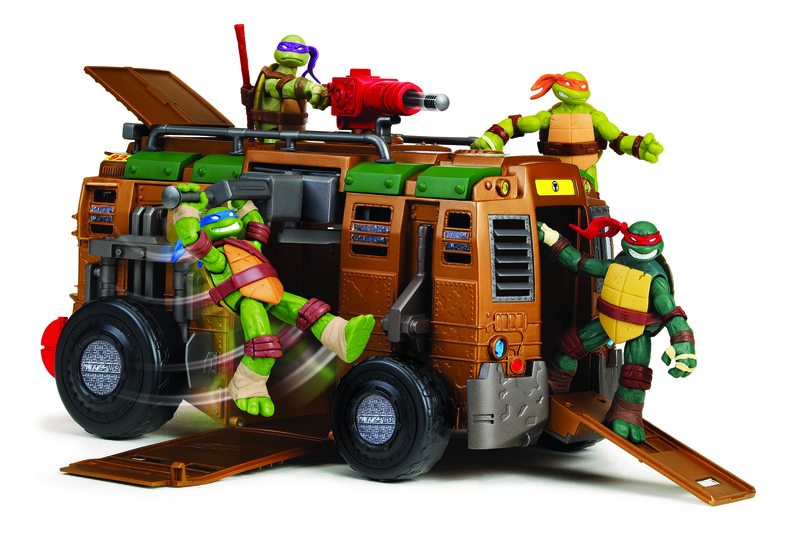 One of my favorite TMNT toys as a child was the Turtles’ van. This generation’s Turtle van got a bit of a facelift. With enough space to fit up to eight action figures inside, this sweet ride has three entrances, a high powered cannon on top, and a side door that automatically opens with the touch of a button, sending your favorite Turtle into a full 360 kick. With one of the four wizards, Air, Tree, Fire, or Water, at your side, you can battle a friend through the island or jungle worlds for prizes and the title of ultimate spell caster. 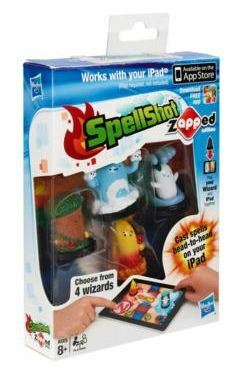 While playing in the free app, the iPad will recognize your wizard and put the appropriate spells at your fingertips. My son and I had fun casting spells on each other in the different worlds. It took some practice for both of us, but in the end it’s become one of our favorite games to play together. If your child is more of a battleship kid than a spell kid, check out the Battleship version. These clever plastic stacking blocks fit together in unexpected ways and capture the attention of a surprisingly wide age range — even adults. I can’t stress the amount of family fun found in Skylanders Giants . The difficulty settings make the game enjoyable yet challenging for an inexperienced six-year-old all the way to adults. There are several mini-games that can be played in the game and as stand-alone games. Even after the story is finished there are lots of goals to go back and complete, rewards, and Skylander upgrades. If you own the previous game, you can purchase the new game with the giant Tree Rex for under $60. 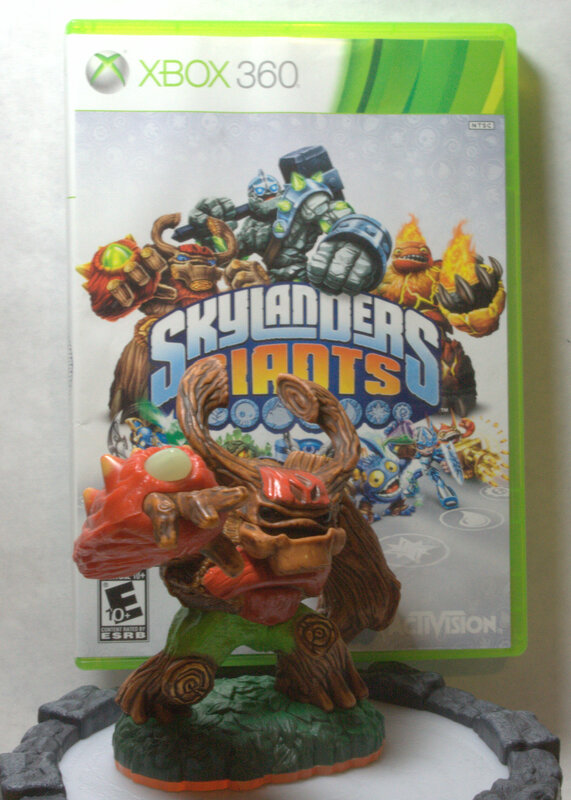 Even if you are new to the Skylanders universe, no previous experience is necessary and the starter pack contains two additional Skylanders with the giant and a portal for the Wii, Wii U, 3DS, XBox 360, or Playstation 3. 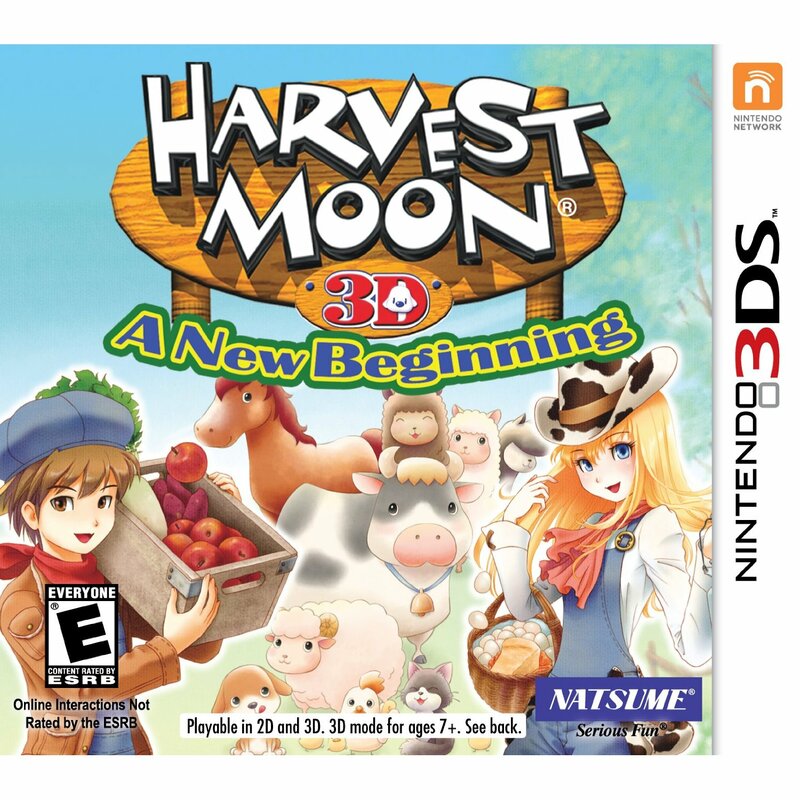 Harvest Moon: A New Beginning is the newest game in the popular Harvest Moon series for the Nintendo 3DS. You can choose to be a girl or boy as you try to run your farm and attract people back to Echo Village. With the 3D graphics, this game looks great while being very fun for fans of simulation games. In a toy aisle crammed with ill-proportioned dolls in outfits my mother never would have let me leave the house in, Lalaloopsy is a delightful, colorful, adorable, and refreshing line. They’re designed after rag dolls, and each has her own theme, a birthday, and a pet. There are now more than 50 of the characters and offshoot lines of toys. This holiday season’s addition is Harmony B. Sharp, who sings and chats with you, and when you attach her to her stage, she “dances.” (OK, she wiggles and her hair twirls.) When you change out her pigtails for other hairstyles, her song changes. She’ll also prompt you to put in a specific piece or ask you to interact with her in other ways. 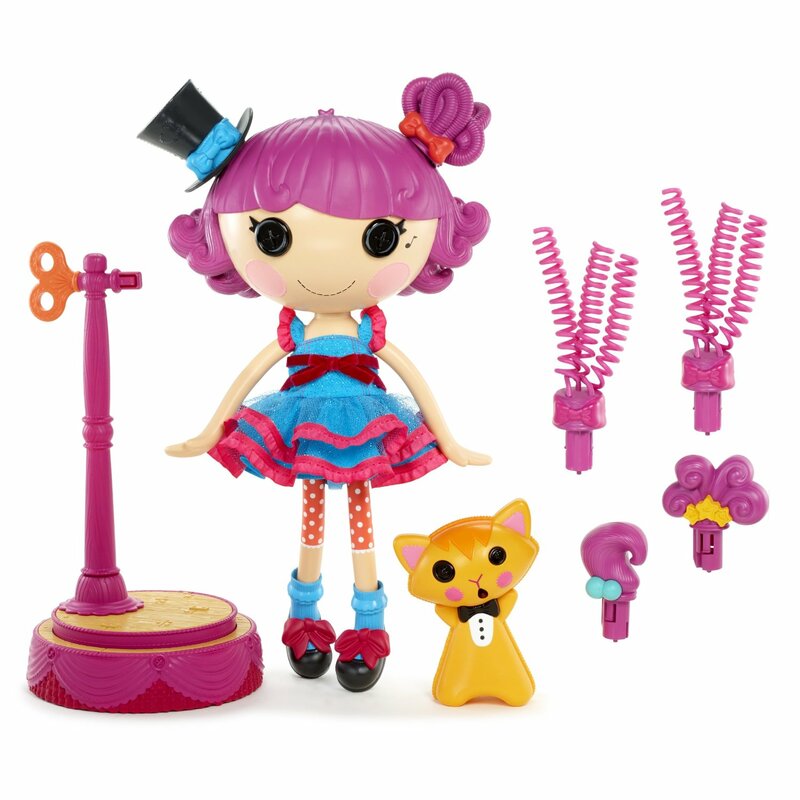 Her pet is a kitten that rattles–or as Lalaloopsy calls it, her “purr-cussion” instrument. 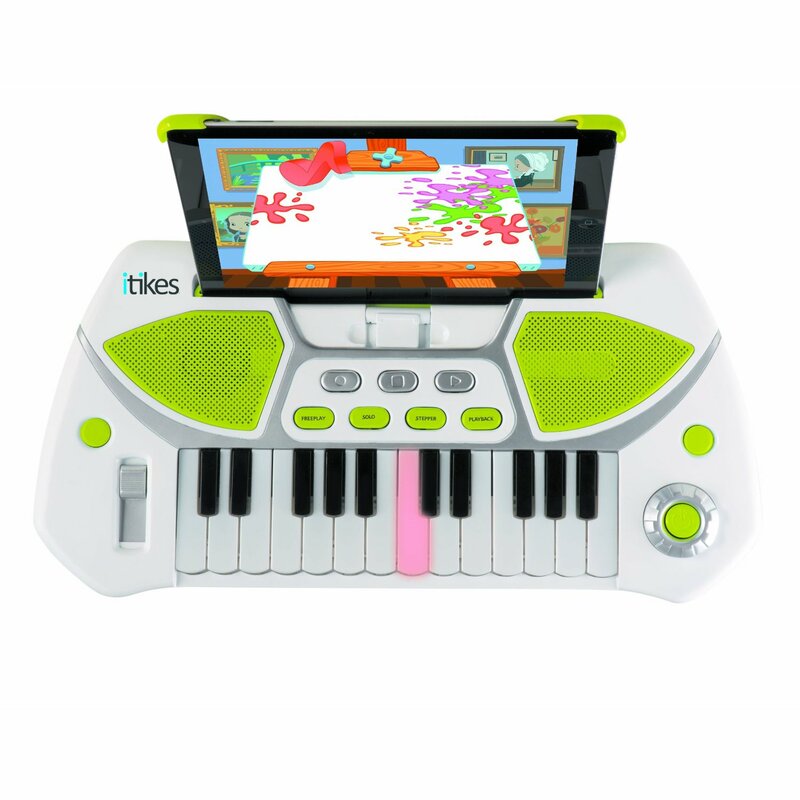 The iTikes Piano is a 24-key toy keyboard that teaches your kids how to read and play music. Alone, it has four songs and four modes (Freeplay, Stepper, Solo, and Playback). When connected to an iPhone, iPad, or iPod Touch, it teaches additional skills like pitch training, sight reading, and music theory. It’s the final days of Buckyballs and Buckycubes, which are no longer being made. The black and silver Buckyballs are out of stock, and the black Buckycubes are gone, but many colors are still available. 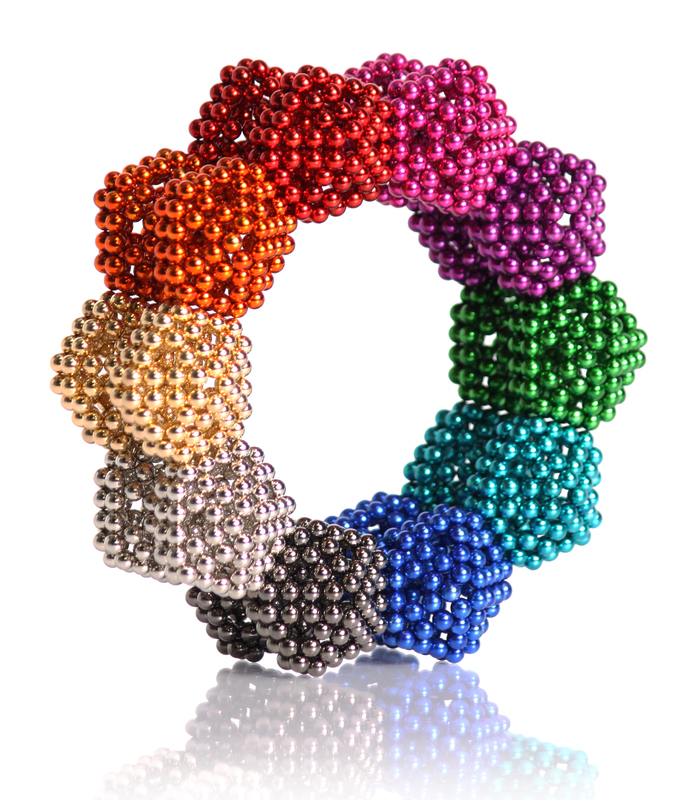 If the ones you were hoping for are no longer available when you get there, check out the company’s new products, Buckybars and Buckybigs, both powerful magnets like the original Buckyballs, but in new shapes and sizes. Kids love cars and trucks. How would you like to sneak a little lesson into that favorite pastime? 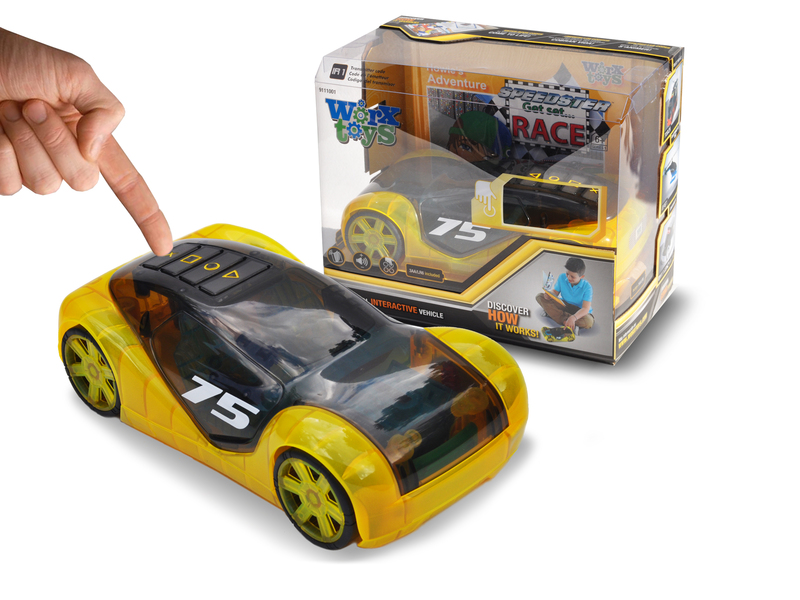 Worx Toys combines a toy vehicle with a storybook to create an interactive learning experience. Throughout each story, the reader is instructed to “play” with the compatible toy, which triggers a series of 20 light and sound code-activated features to help you learn the various parts of the car, truck or other type of vehicle. In other words, the story isn’t just about a car, a firetruck, or a motorcycle, but it actually shows kids how that stuff works — in an age-appropriate manner, of course. Read our review! Skylanders fans will love the new building sets from Mega Bloks, particularly the epic Dark Castle, complete with a mini Kaos figure and sheep catapult. The attention to detail here shows the toy designers were fans of the game, down to a portrait of Kaos on the wall. 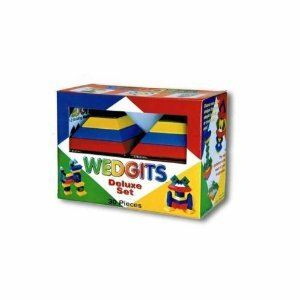 Mega Bloks offers cool, less expensive sets as well, but none with quite this much potential for building and pretend play. From the innovators who brought us Hexbugs comes the new car line, Tagamoto. Kids can build a roadway for these microcars, and then add codes that control how the cars interact with the track. As cars drive over these codes, they stop at stop signs, turn on their headlights, rev their engines, and more. 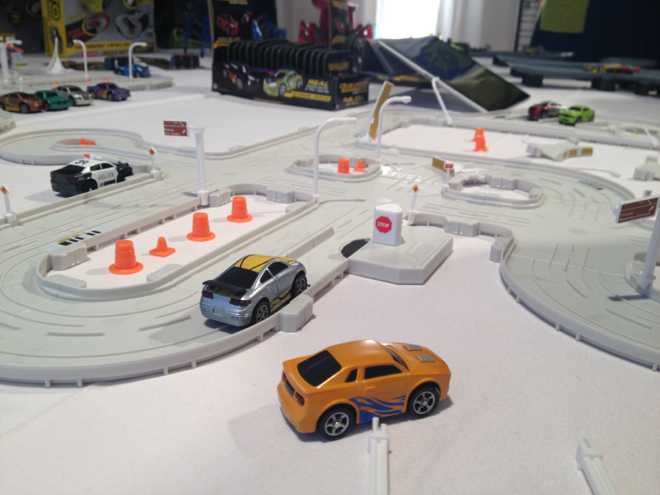 The cars also work off the track for both motorized and non-motorized play. 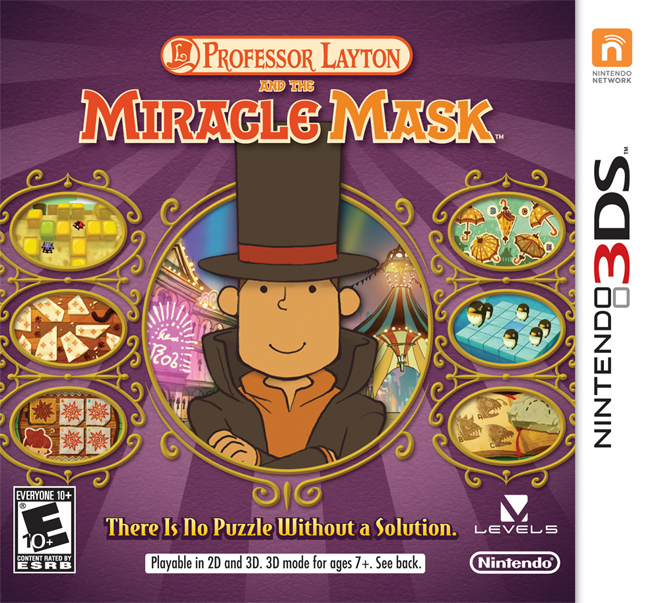 This latest installment of the Professor Layton series for the Nintendo 3DS will excite Professor Layton fans with a tale of a madman behind a Mask of Chaos who performs miracles in the town of Monte d’Or. Solving the mystery will involve going back into Professor Layton’s past, solving the riddles of his teenage years. Newcomers who enjoy puzzles will get a kick out of this game, too, with no previous Professor Layton knowledge required. 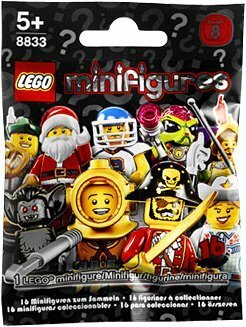 You never know what you’re going to get with The Lego Group’s sealed “mystery bags.” Series 8 minifigure possibilities include an actor, pirate captain, evil robot, and — appropriately enough — Santa Claus. With sixteen possibilities, it’s easy to see why kids (and AFOLs) get excited about each one. In my household, these have replaced the iconic Lifesaver storybook as the go-to gift for casual friends and drop in holiday visitors. They also show up in Christmas stockings, courtesy of Santa Claus. Lego! Hobbitses! Lego Hobbitses! Naturally, you and your geeklings will be seeing The Hobbit movie this month. Expand on their excitement in this classic story with Lego play sets that include minifigs like Gollum, Legolas, dwarves, and orcs. 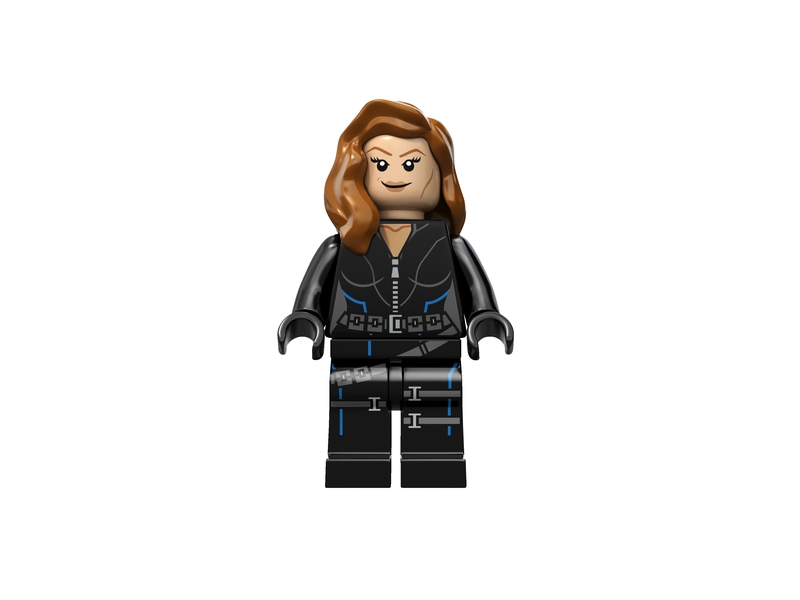 (Minifig collectors will swoon at the full collection shown in the instruction booklet.) 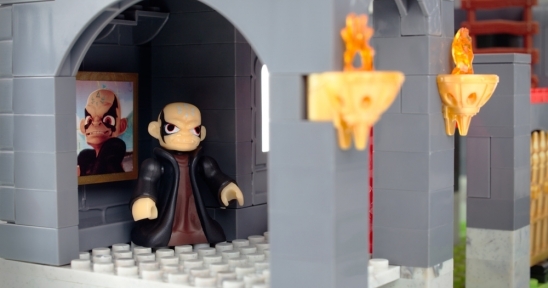 Riddles for the Ring, with creepy Lego Gollum, is a small set, perfect for stuffing a Christmas stocking. 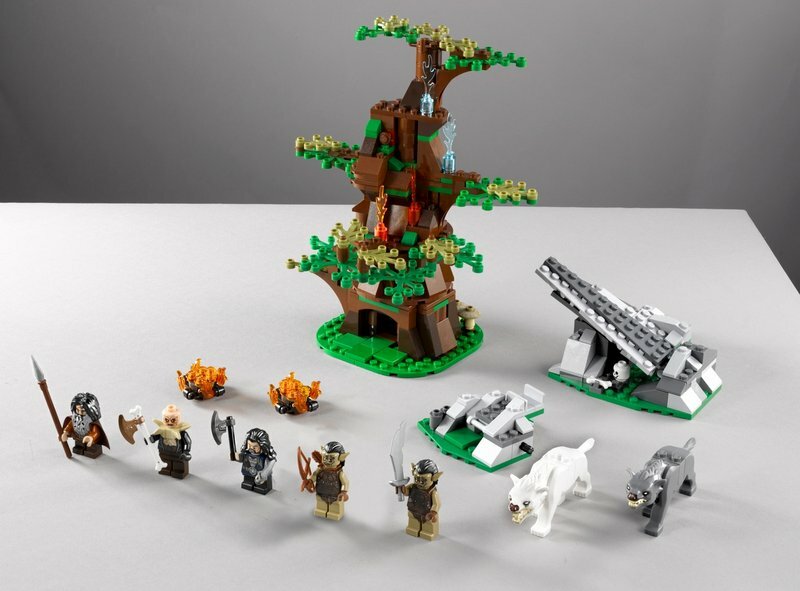 Attack of the Wargs is a mid-size set that includes a white and a grey warg, an operational catapult, and as my son said, “Lego mushrooms!” Additional Hobbit sets include Escape from the Mirkwood Spiders and The Goblin King Battle. Wrap any of these up with a copy of The Hobbit in book form and you’ll be somebody’s favorite person this holiday season. Get it from Steam or direct from Runic Games. 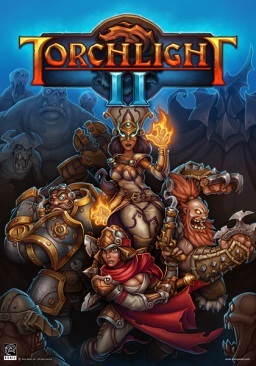 Torchlight II is the best dungeon crawler on the market, at a ridiculously low price. With the ability to mod the game, level randomization, never-ending gameplay, and the ability to play offline or co-op online for free via LAN or Internet, this game is a must-have, especially if all you want to do is smash and grab. Leveling up is quick. At times, there is more loot than you could ever possibly use. There is even a story for those who like that in a game. Crazy Aaron’s Thinking Putty by Puttyworld! We had a chance to try out three of their holiday colors, each complete with cool features that puts it several levels above your standard Silly Putty. Photo: Patricia Vollmer. This is a fantastic stocking stuffer idea, as well as a great budget-friendly, science-savvy gift idea for all ages, for any occasion. Crazy Aaron put a lot of research and work into making their products less sticky, less prone to attract dirt and hairs, and more colorfast. After a month or more of playing with this product in our house, all three samples still look as good as new. There is an absolute minimum of mess — we get the occasional little blob on the carpet when the kids are stretching it out — and I have seen no evidence of the colors rubbing off anywhere in my house. This is a high quality product. Read our review! The object of the Destroyer Dome is for the player to launch the Beyblade into the dome (through one of the openings at the top) such that it maintains enough centripetal force to maintain its spin, all the while attempting to knock out or outlast the opponent’s top. Instead of the half-sphere-type Beystadiums that have been more widespread, now the users need to angle their blades optimally to make them take advantage of all three directions. 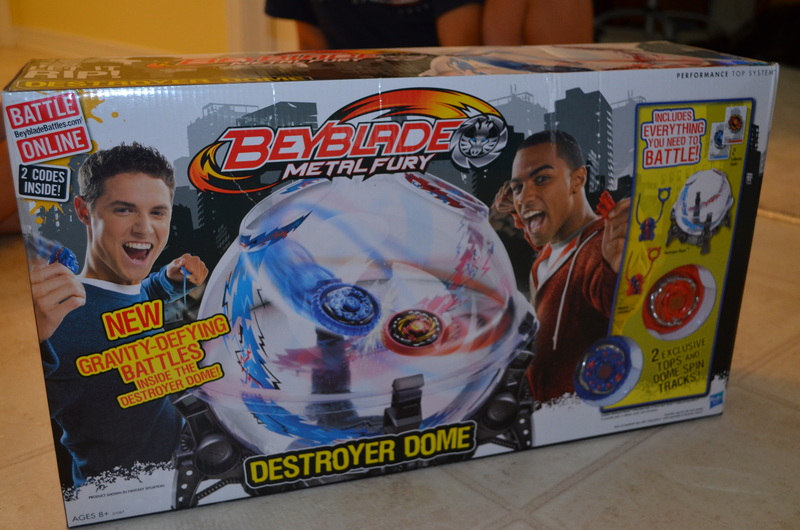 The Beyblades Metal Fury Destroyer Dome is a fun addition to a Beyblade collection for kids ages 8 and up. Read our review!